DTLA's reignited fashion district is ready for its close-up. City Market South houses everything you need for a day of working, shopping and eating in one open-air setting. A critical hub of the West Coast’s fashion empire, LA’s Fashion District has hardly registered in the average Angeleno’s life—unless they were in search of fast fashion in Santee Alley or bountiful blooms from America’s largest flower market. Until now. Like many of its surrounding neighborhoods, the 100-block Downtown zone has recently undergone an upscale renaissance, rooted in the creation of City Market South, a “true surprise” for nearly everyone who visits, says Steve Livigni, managing partner of DAMA, a transportive Latin-inflected bar and eatery there. “Reading about it or looking at a map doesn’t really prepare you for the charm of walking into the courtyard and seeing the great old buildings and bustling restaurants,” he says of the 2.5-acre open-air enclave, a former banana-processing warehouse. 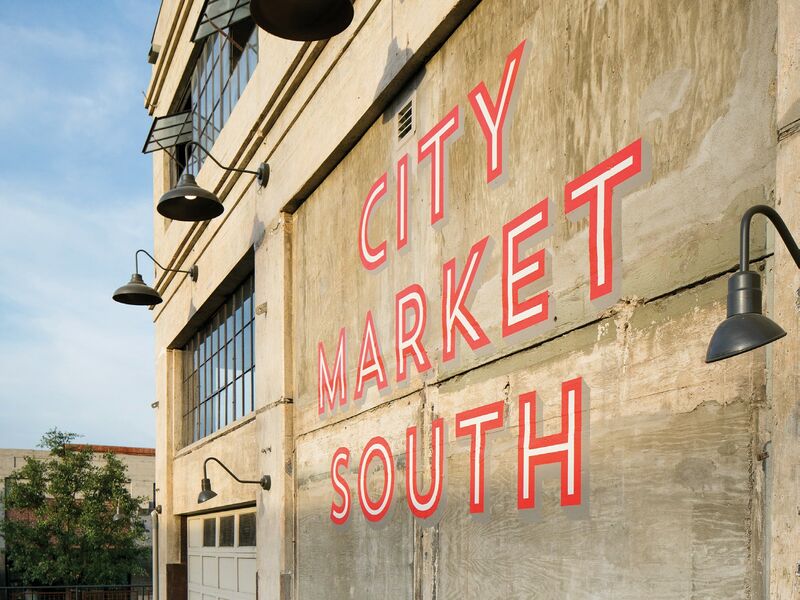 “By adding destination restaurants, creative office spaces, new showrooms and event venues, the [district] is poised to be a real growth area within Downtown,” says President Mark Levy of City Market South’s role in adding a new dimension to a previously daytime-only destination. Events at the 16,000-square-foot City Market Social House, in partnership with iconic chef Wolfgang Puck, have already included the ESPY Awards and NBA All-Star festivities. 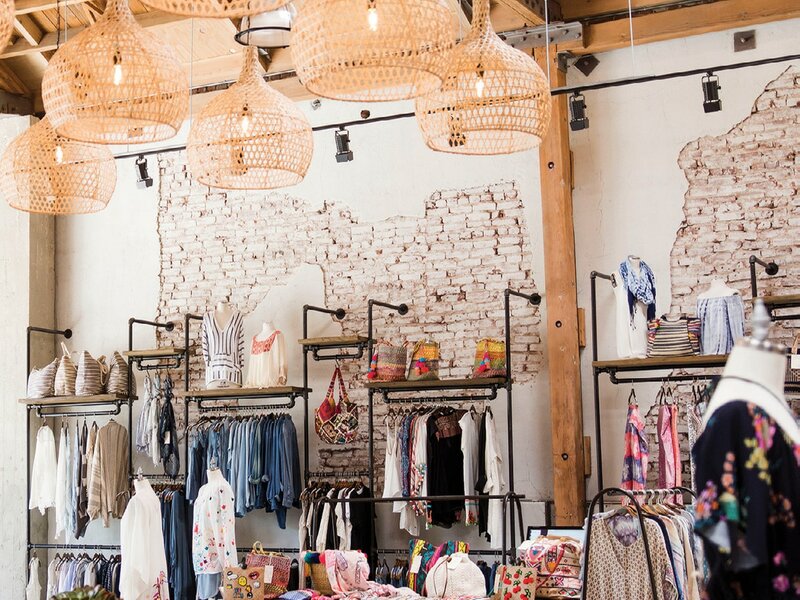 Danny Foruzesh chose the area over homogenized wholesale showrooms nearby as home for his boho brand Lovestitch’s airy space after recognizing the destination’s vision in fusing fashion, architecture and history. In the last year, he’s had pop-ups in conjunction with events in the center and is looking to curate more: “To see retail customers recognize the brands of their favorite boutiques was amazing,” he says. Lovestitch’s contemporary brand embodies bohemian luxe. Galleries, art studios, co-working spaces and design studios are also on the rise, alongside residential units (which went from 2,100 to 5,000 last year). Creative office space is also burgeoning. In the heart of City Market South, the Russo brothers—directors of Marvel films including Captain America and Avengers: Infinity War—established headquarters for their AGBO Films, complete with executive meditation rooms. Nearby, key restaurants, namely, Sammy Monsour’s Preux & Proper, and Steve Samson’s fashionable Rossoblu and Superfine Pizza have ignited the dining scene alongside DAMA. Cognoscenti Coffee entices those cultish about the provenance of their beans, roasted on-site by former architect Yeekai Lim. 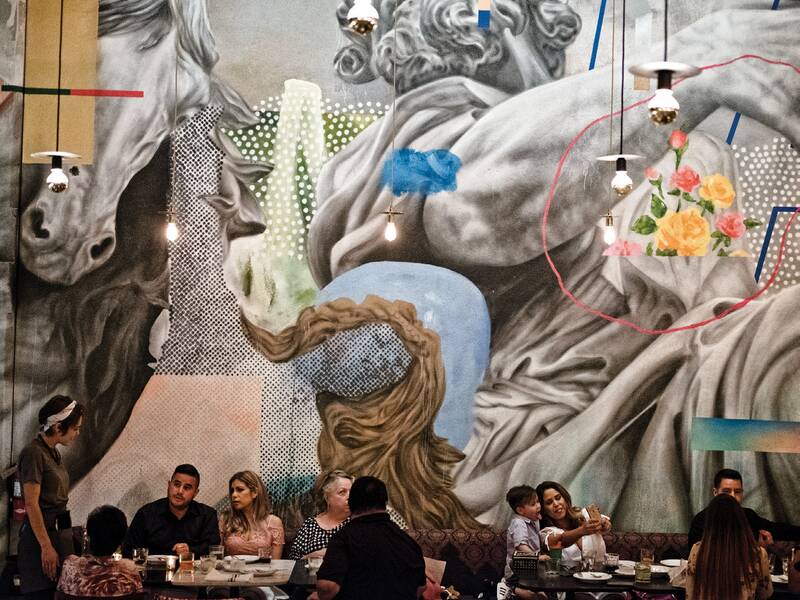 Rossoblu brings dynamic artwork and Bolognese cuisine to the Fashion District.